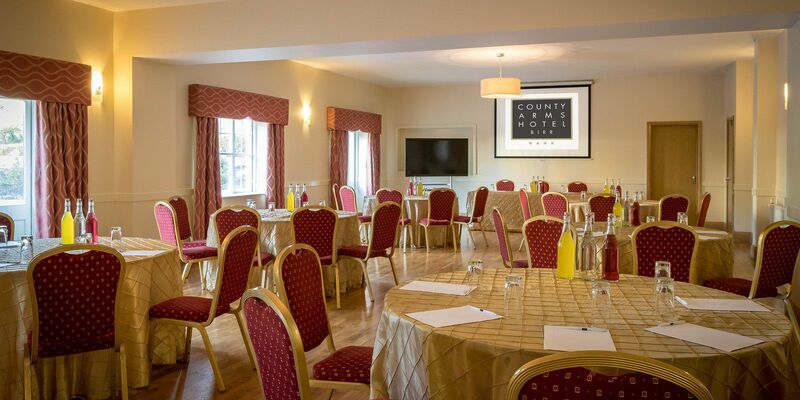 For your next event at the County Arms Hotel, allow yourself the comfort of a Private Dining room. Rather than sharing the Restaurant with other guests, this important occasion for your team should be afforded a sense of privacy and elegance. We are lucky to offer a selection of stunning Private Dining rooms, many of which are original Georgian Drawing rooms with period features including ceiling cornices, fireplaces and floor to ceiling windows. This richly decorated Georgian drawing room overlooks our Garden and is suitable for Banquets for up to 60 diners. Probably the favourite entertaining room of the Loughnane family, when we can keep the numbers at a reasonable level! On the same floor as the Drawing Room, this Georgian room seats up to 90 guests. 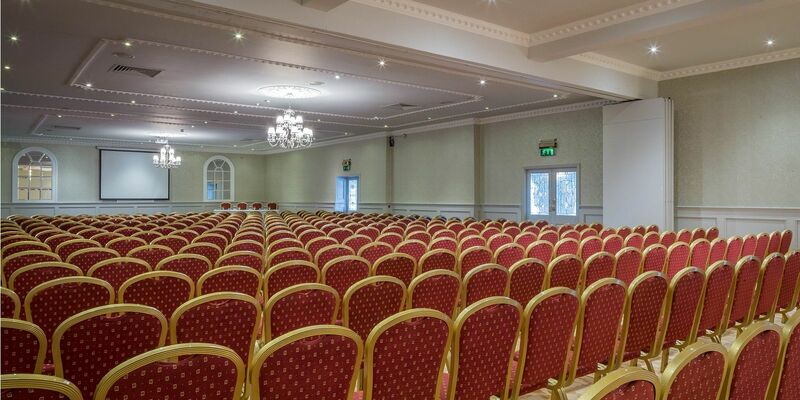 Also includes a dance floor – a key requirement for many events. A stunning Georgian dining for intimate dinner parties of up to 16 guests. If you wish to impress colleagues or potential clients, we’ll provide an appropriate menu and the ideal environment – after that it’s up to you. *Due to our listed building status, certain rooms at the County Arms Hotel are inaccessible by elevator. Guests accessing the Georgian floor by wheelchair are escorted by a member of our management team through a very small portion of our service area. We always try to keep any inconvenience to our guests to a minimum. The location of the Orchard Room on the ground floor opposite Bar 62 gives a clue to it’s popularity. 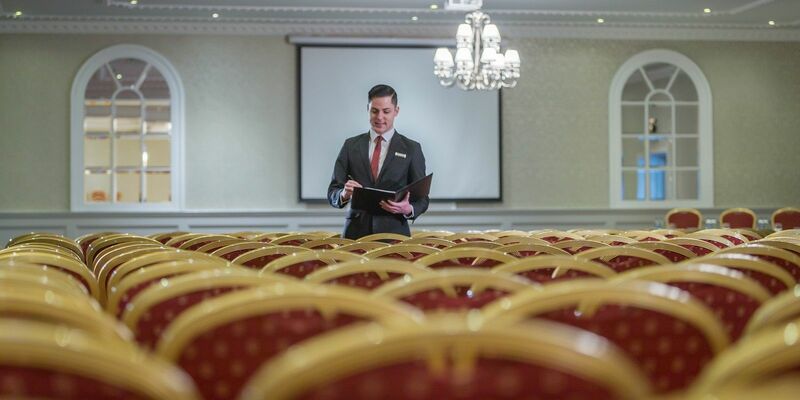 Ideal for up to 40 guests on 4 round tables, this room is decorated in warm tones and is your private oasis with easy access to elevators and the rest of the County Arms Hotel. Wheelchair accessible. This large room on the ground floor seats up to 120 diners. With it’s own Bar and easy access to an outdoor smoking area, this room is very popular for parties, wedding anniversaries or larger events. Wheelchair accessible.